Construction sites. Guarding of Commercial, Industrial and Residential properties, Event Security, Clean up crew during and after event. Casual guarding (We specialise in month to month) otherwise known as Adhoc. Access Control and Car Guarding. Alliance Security Fencing t/a Eina Serious Security spikes: Secure your home or business with the beauty of EINA IVY – the unique, patented wall spike. These razor sharp spikes are capable of withstanding our harsh South African climate. The spikes are extremely effective, camouflaged and can be fitted to walls, fences and gates and are suitable for both domestic and commercial use. They are also very pleasing to the eye. The Eina Ivy spike comprises of 4mm galvanised razor sharp fingers, twisted over a 1.5m length to simulate branches and twigs. Free Alarms is a nationally based company, with agencies in South Africa’s major centres ready to assist you with all your home protection needs. Upgrade ordinary residential, commercial and automotive glass into a high-tech, invisible, protective barrier with GSS. Transform glass into high impact, UV-, intruder- and ballistic resistant, energy efficient, safety glass. Specialized Security Services for the Hospitality, Construction, Supply Chain, MAnufacturing, Property Management, Centre Management, Retail and Wholesale Sectors. Guarding services for the commercial, residential and industrial sectors. We offer a wide range of corporate security solutions. Engineered by an enthusiastic, trained and certified team of staff, we offer 24-hour service and convenient scheduling. Our services are available to all buildings, malls, businesses and other institutions. 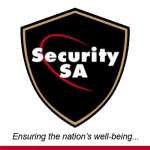 Whether you’re looking for security guard presence in a public building or construction site, security systems with cctv survailance, tactical responce where Security SA provides you with a 24 hour tactical response team that will be there when you need us or any other security service you can contact us.